If I play wynncraft do I really have a job? 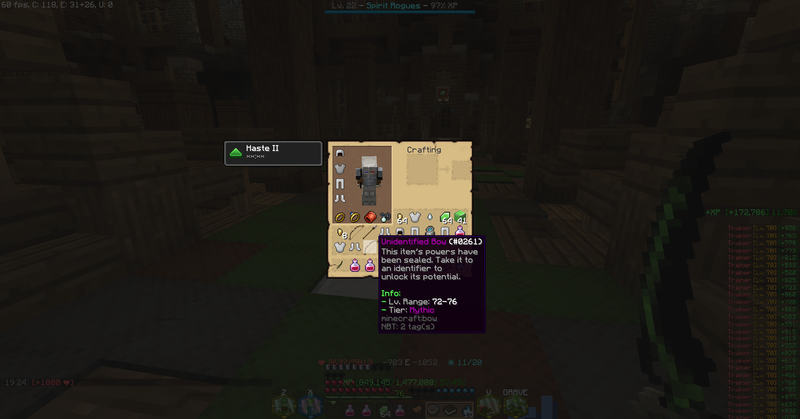 YO BRO, SAW YOU ON WYNNCRAFT BRUH! TF YOU DOIN ON THE DAMN ROOF OF DETLAS BANK? Nii Runes are love, Nii Runes are life. ---, blankman and ActualAnthonino like this. How does one get 7 stacks of Nii runes? DutchSpruceRun and ExertKarma like this. Determined to get an entire bank page full of Nii Rune stacks. well, time to open up a new record in the GWR book, full bank page of Nii rune stacks. good luck with that. you that like isn't meant to be weird, what the heck could be weird about it? its 100% normal, we all know that. Is price check a meme yet? yet despite all this, i don't have a karma. o i got a mythic. yay?